Film Review for Darren Aronofsky's mother! 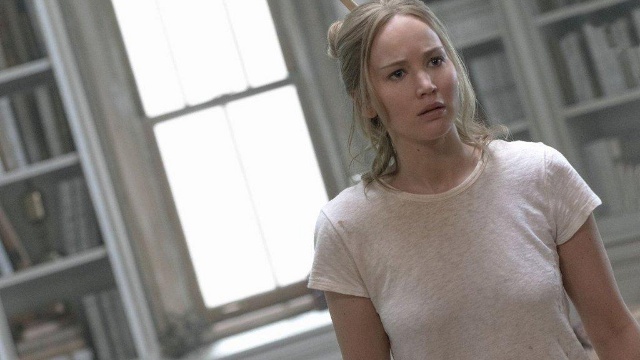 Darren Aronofsky holds nothing back in this unhinged film starring Jennifer Lawrence. 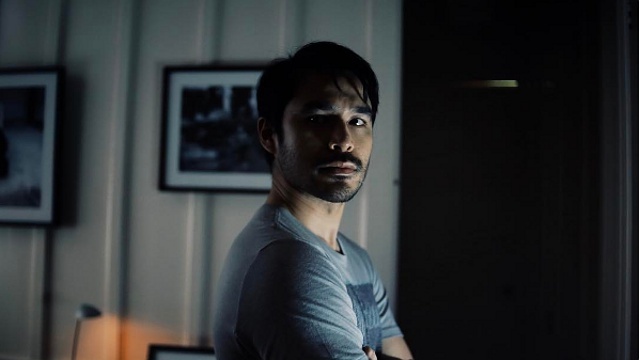 (SPOT.ph) The latest film from the mind of director Darren Aronofsky is best seen without knowing much about it. Maybe you've seen the trailer or some pictures, but mother! is an experience worth going into blind. Whether you come out of it loving what you'd just seen for its sheer audacity and expert filmmaking or completely hating it for its lack of sense and over-the-top silliness, it's a movie-watching experience that is hard to forget. Steeped in myth and history and layered in allegory and metaphor, it's a film that's both so fun to watch and talk about, but also so pretentious that it's easy to hate. Many film school papers will and should be written about it, and thinkpieces analyzing, critiquing, and discussing it will overflow. 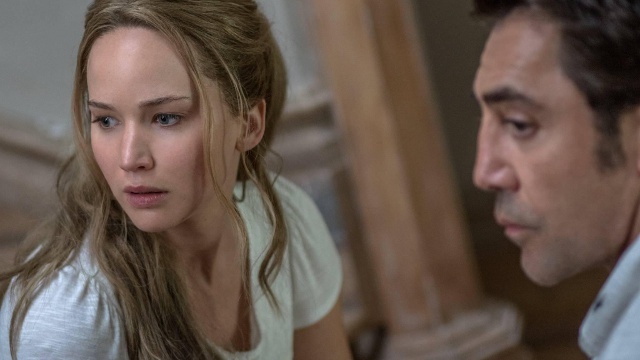 This is unlike anything currently in cinemas, and the outrageousness of it all is why anyone should even bother to experience mother! in all its glory. The film starts off with a startling and unsettling image of a woman burning to a crisp. We're then led into the story of a husband and wife living in the middle of nowhere in a Gothic broken-down house. The husband (Javier Bardem) is a writer and poet suffering from writer's block; he can't figure out what to create next and it's causing a rift between him and his wife. The latter (Jennifer Lawrence) is a soft-spoken and nurturing housewife who has been painstakingly rebuilding the house while her husband tries to write. Soon, a strange man (Ed Harris) knocks on the door, claiming to be a doctor who thought the house was a bed-and-breakfast. Despite the wife's protests, the husband says he can stay. Later, a woman (a deliciously delightful Michelle Pfeiffer) arrives, and introduces herself as the strange man's wife. As stranger and stranger houseguests arrive, things begin to unravel in horrifying and unspeakable ways: bloody holes, broken furniture, organs in the toilet, and more populate the insane world of mother!. "What is mother! really about?” is a question sure to be asked by many. Bardem's writer character states in the film that his art means different things to different people, and that may as well be Aronofksy's calling card for this film. There are things that are easily graspable if you're aware of the stories that are being referenced (maybe if you've read the Bible), then there are others that you must dig a little deeper to understand. Is mother! about an artist and his muse, and how an artist cannot love a person more than he loves his work? Is this film a reflection of Aronofsky's relationship with film and his significant others? Is it an extended criticism of organized religion? After all, Aronofsky is no stranger to tackling religious stories—his previous film Noah showcased a different take on Noah's Ark—and mother! has biblical influences aplenty. Is it about climate change? Is “mother” Mother Earth, and are the houseguests cruel humans destroying this beautiful home? Is this about giving women and the awful men around them? Maybe it's all just about unruly and awful houseguests—something we've all probably experienced. It's up to you to decide. The film is designed to challenge, question make you think, and be discussed. This is by no means a mainstream horror film like it's being marketed, and that will be disappointing to many. Still, at times, it's something even more horrifying. Aronofsky and his leading lady, Lawrence, commit to the absurdity and insanity in this film. 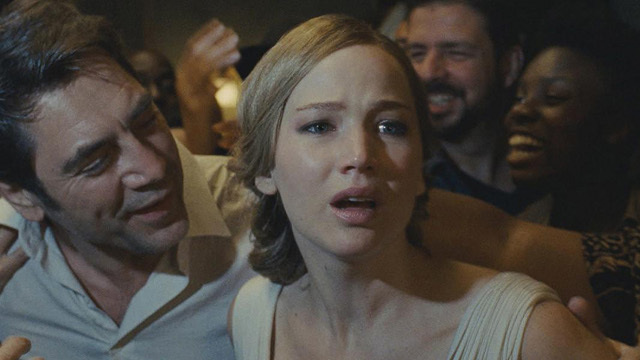 When things start to go a little mad, he holds nothing back and neither does Lawrence, who is filmed often in close-ups to catch every little flinch, crease, and emotion as she ponders, questions, screams, and cries. There are lengthy scenes of increasing chaos and nonsense, but it's all wonderfully filmed and crafted. Everything is supposed to be mindblowingly crazy and jaw-dropping, and trust us, the last 30 minutes do not disappoint in that regard. From a filmmaking point of view, Aronofsky is his usual self, with unhinged sequences and destructive scenes expertly directed. His usual cinematographer, Matthew Libatique, frames and films the horror with a purpose, especially during the most chaotic scenes as the camera follows Lawrence's character as she weaves through the maddening house. Speaking of the house, its production design is stunning—a character in itself, breathing and beating all on its own. The sound design is equally admirable, as every small creak is made important. mother! is an experience like no other. Whether you come out of it confused, obsessed, or horrified, you're going to feel something. This film will reach out of the screen and shake you; it may even punch you. The most exciting thing about mother!, even more than its wild and audacious efforts, is being able to avidly discuss it long after it ends. Judged by that alone, this film is a masterpiece—whether you love it or hate it. mother! is rated R-16 and is now showing in cinemas nationwide. Photos courtesy of Paramount Pictures.